For retailers, lenses are golden. They’re big-ticket, high-margin accessories that help build customer relationships, enhance your customers’ shooting experience and encourage repeat sales by deepening their engagement with photography. 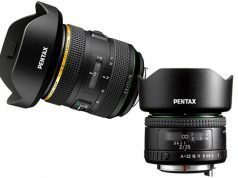 The fact that DSLRs and mirrorless cameras continue to be the top choices among experienced and emerging enthusiasts and pros—combined with the burgeoning number of people who use photography as a means of personal expression—has made lenses one of the most robust, reliable niches in the imaging marketplace. The world’s major camera makers and optical companies are well aware of these trends. They have responded by unleashing a barrage of innovative optics targeted at serious and emerging enthusiasts as well as professionals who want to expand their creative options and create distinctive images expressing their individual style. The most recent optical explosion is actually part of a larger transformation that’s been evolving for a number of years—a movement that prioritizes lenses as a key part of the creative process. 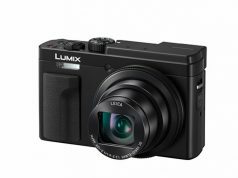 These optical innovations span every camera category from camcorders and mirrorless, interchangeable-lens cameras to APS-C and full-frame DSLRs. As shooters become more sophisticated, creative expression and the esthetic quality of the image become increasingly important. This has resulted in a renewed interest in wide aperture prime (single focal length) lenses that can create beautiful bokeh effects using limited depth of field at wide apertures in the f/1.2–2.8 range. 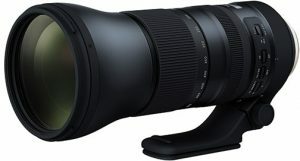 Virtually every major lens manufacturer now has an enticing assortment of high-speed primes ranging from wide angles and moderate telephoto portrait lenses to long, high-speed telephotos, like Sigma’s impressive 500mm f/4 DG OS HSM Sport lens. Zoom ranges also have been steadily increasing, and there are several attractive new ultra-long telephoto zooms such as the new G2 version of the Tamron SP 150–600mm f/5.6–6.3. Other notable lens trends: upgraded, built-in image stabilization systems that provide a 4–5-stop anti-shake advantage in handheld shooting; an increasing number of wide-angle zooms such as the Olympus M.Zuiko ED 25mm f/1.2 Pro; and lenses with built-in, ultraquiet stepping motors for shooting video with virtually no focusing noise. In addition, technical advances include the increased use of ED (extra-low dispersion) and UD (ultra-low dispersion) glass, as well as aspheric elements. Lenses are a high-value proposition for consumers, and they retain their value and usefulness as shooters migrate to the next, more advanced camera body. The fact that lenses are optical-mechanical creations that are not on the consumer electronics paradigm is the underlying reason why they have a higher resale value than practically any other item in the imaging field—and a higher perceived value. 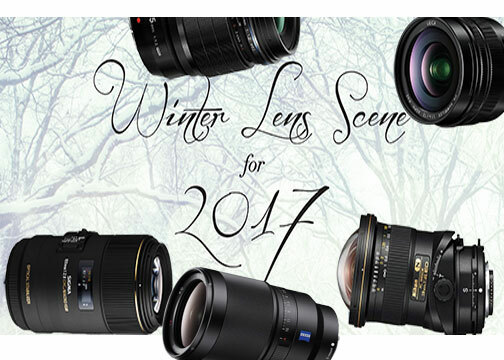 We sure hope our selections for the Winter Lens Scene inspire you to check out other options that target your customer base. 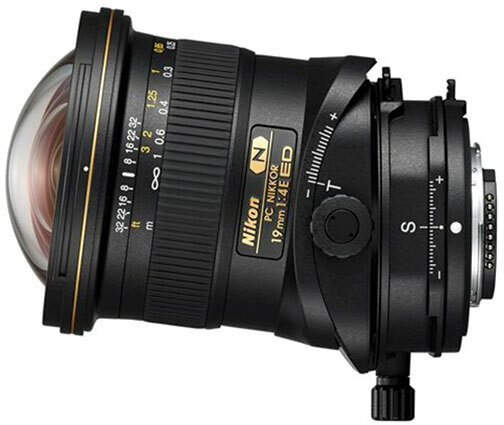 This remarkable, tilt-shift, ultrawide-angle, full-frame (FX format) perspective-control lens tilts +/- 7.5º, shifts to +/- 12mm and rotates up 90º to control the plane of focus, composition and depth of field. Both tilt and shift movements can be set independently without locking, and tilt can be applied parallel or perpendicular to the shift for maximum flexibility in photographing tight indoor spaces or challenging architectural subjects. 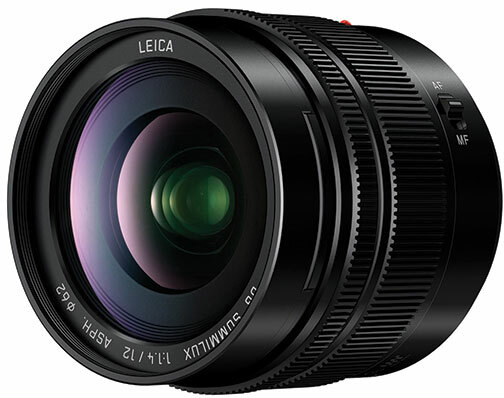 Designed by Leica, this high-performance, high-speed, wide-angle prime lens for Micro Four Thirds system mirrorless cameras provides a 24mm-equivalent focal length. It incorporates two aspheric elements, one ED element and 2 UED (ultra-extra-low dispersion) elements to control chromatic and spherical aberrations and yield outstanding sharpness and clarity from corner to corner. 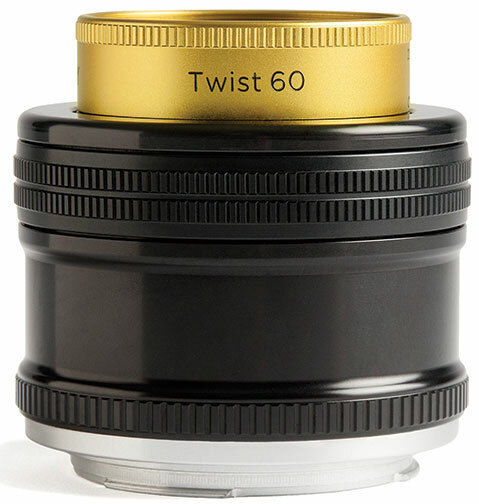 This is a modern iteration of the famed Petzval high-speed portrait lens of circa 1840. The 60mm f/2.5, multicoated, 4-element, 3-group, full-frame prime lens is compatible with Lensbaby’s Optic Swap system. 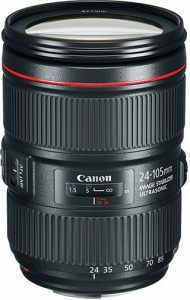 It features a straight body, manual focusing ring and apertures to f/22. It also has an internal, 12-bladed diaphragm and focuses down to 18 inches. 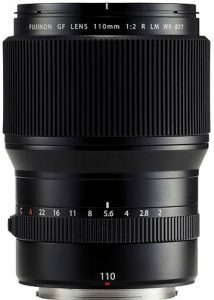 This seriously upgraded, second generation (G2), long telephoto zoom is based on a new optical formula that includes three low dispersion (LD) glass elements to reduce chromatic aberrations and color fringing over its entire zoom range. And BBAR (broad-band anti-reflection) multicoating minimizes flare and ghosting. 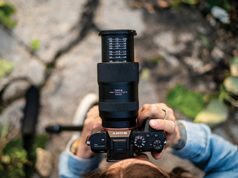 The lens incorporates an ingenious flex zoom lock that locks the zoom at any position to prevent accidental extension, plus a conventional zoom lock. 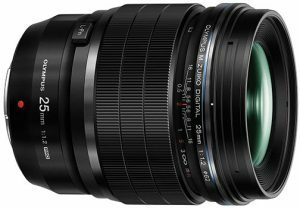 A high-performance, ultrahigh-speed normal prime lens for Micro Four Thirds cameras, this advanced 19-element, 14-group optic provides a 35mm-equivalent focal length of 50mm. 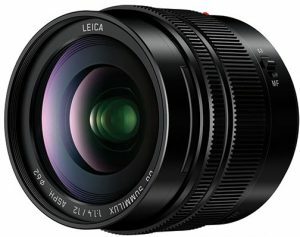 It incorporates three ED elements, four high refractive index elements and one aspheric element to achieve outstanding image quality even at its maximum aperture of f/1.2. Its rounded 9-bladed diaphragm enables smooth bokeh. 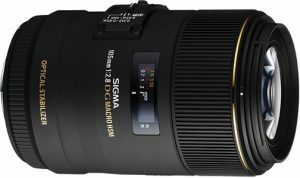 This hefty new lens is the flagship of Sigma’s Sports line. It’s understandably large (15 inches long with a 5.7-inch diameter) and weighs 7.3 pounds, but it’s nicely balanced and its magnesium alloy barrel helps make it lighter and easier to manage than many of its competitors. It incorporates one SLD (super-low dispersion) element and two FLD (fluorite equivalent) elements to minimize aberrations and achieve outstanding imaging performance. This handsome, wide-aperture, moderate telephoto G-mount lens is designed for the new Fujifilm GFX. The stylish, compact, GFX digital medium-format mirrorless camera boasts a 51.4MP, 43.8×32.9mm CMOS sensor. The new G mount has a flange back distance of 26.7mm, to shorten the back focus distance and prevent vignetting. the frame. Built-in IS provides up to a 4-stop advantage in reducing the effects of camera shake. Also, a ring-type ultrasonic motor (USM) provides fast, accurate AF. 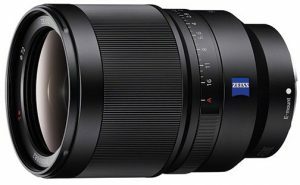 This lens combines the virtues of a medium telephoto portrait lens and a true macro lens that focuses to 1:1 (life-size on sensor). The stylish, full-frame prime focuses continuously down to 12.2 inches without accessories. One special-low dispersion (SLD) and one high refractive index SLD glass element provide outstanding DG-level correction for chromatic aberration and extremely low distortion. 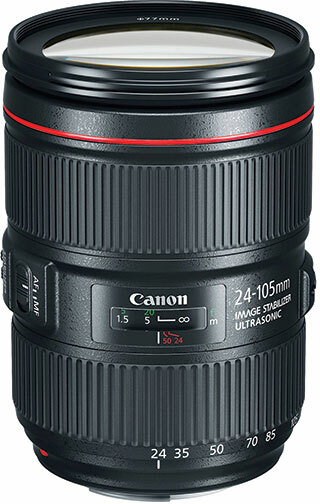 And a “focus free” design lets the lens autofocus without turning the external manual focusing ring. This entry is designed by Zeiss and manufactured to their exacting standards. The impressive wide-aperture, wide-angle, full-frame E-mount lens is a great choice for travel, street photography and reportage. The prime lens is excellent for shooting in low light or for creating striking pictorial effects using shallow depth of field. It incorporates aspheric and advanced aspheric (AA) elements. In addition, Zeiss T* coatings deliver images with outstanding resolution, contrast and clarity. It also employs a fast, precise, virtually noiseless, direct-drive supersonic wave piezo-electric AF system optimized for shooting both video and stills.